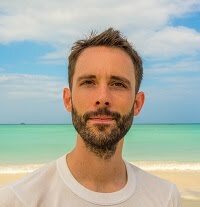 Nicholas Floyd is the author of Seven Nights with Ayahuasca and You Can't Spell Tokyo without K.O., and he is currently working on several other nonfiction books, about life abroad and various other topics. He is fluent in Japanese, and he is particularly interested in anthropology, human sexuality, healthy living, sustainability and minimalism, studies of consciousness (waking, dreaming, and altered states), the beneficial uses of psychedelics, and drug policy reform. He holds a bachelor’s degree in Computer Science, as well as a minor in Mathematics, and he happily resides in a tiny apartment on the island of Oahu.